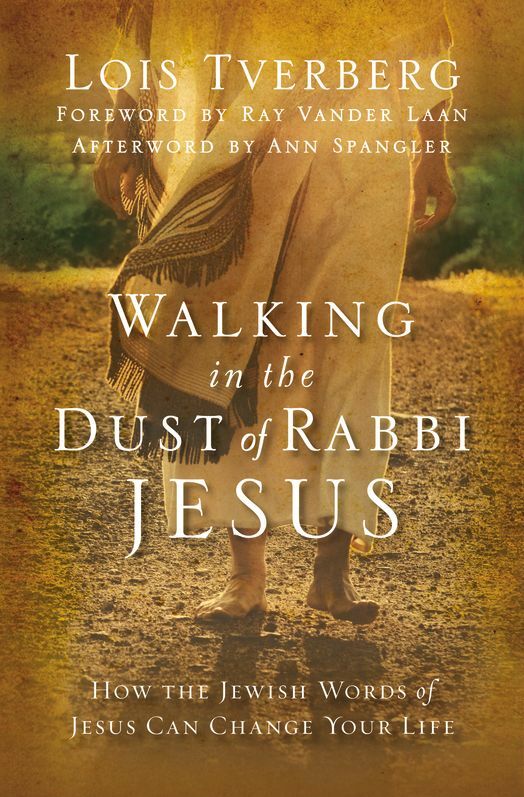 In February 2012, Zondervan will release the sequel, which I’ve been working on for the past couple years: Walking in the Dust of Rabbi Jesus. There, I ask the next question — what are the implications of Jesus’ Jewish context for how we live as his disciples? I also contemplate some Jewish ideas that deepen our understanding of Jesus’ words and yield practical insights for following him today. For more info and several excerpts, see this page. Available soon at bookstores, or online at Amazon, B&N, or CBD. If you want to read some of my earlier writing, see www.egrc.net. This is the En-Gedi Resource Center, an educational ministry I founded with Bruce Okkema in 2001. For six years we organized seminars and published books and audio/video materials. I’ve been writing independently for the past five years, but you can find many of my earlier articles there, as well as my first book, Listening to the Language of the Bible. I do also travel and speak. If you’re interested in where I’ll be or inviting me, check out my calendar here. Right now all over the world, Jewish people are celebrating the Feast of Sukkot (Tabernacles) in small “booths” or “tabernacles” they have built in their yards. They live in these little huts for seven days (or at least eat their meals there), in order to remember God’s care during their 40-year wilderness trek to the Promised Land, because God commanded it in Leviticus 23:39-43. If you want to see how these ancient traditions are still observed by Jews in Jerusalem today, you have a superb opportunity in a movie that came out a few years ago called Ushpizin (oosh-pee-ZEEN). The word means “visitors,” and refers to the tradition of showing hospitality to visitors in your sukkah during the Feast of Sukkot. The movie revolves around the lives of Moshe and Malli Bellanga, an extremely poor couple who live in an ultra-Orthodox neighborhood in Jerusalem. Both of them are what Jews call ba’al teshuvah, (“masters of repentance”) meaning that they became observant as adults, and they are still learning to live as ultra-Orthodox Jews. Soon you find out that the husband has a pretty violent past, and his old friends are convicts. In fact, two escaped convicts presume upon them to host them in their sukkah, making their lives miserable and testing their new-found faith. The question of the movie is whether Moshe has truly repented of his past, or if he still is the man he used to be. The movie, Ushpizin is one-of-a-kind in that it is the only movie ever made by ultra-Orthodox Jews, who normally stay far away from public media. When it debued in Israel in 2004, it won all sorts of awards because of its delightful story and excellent acting. (You can read the story here.) It’s a real favorite of mine. The entire movie was played by ultra-Orthodox (“Haredi”) Jews living in their own neighborhoods in Jerusalem, so you get an amazingly authentic glimpse into their very private lives. Considering how stifling its strict rules would seem to be, I was amazed at the characters’ humor, faith and gentleness. You might think the movie is hard to find, but I got it at my Blockbuster movie outlet. Several libraries in my area of Michigan have the DVD too. Of course you can buy it new or used on Amazon. It is in Hebrew with subtitles. Not only will it teach you about Sukkot, it is a delightfully hilarious story. I highly recommend it. Greetings from Lois after some months being away from the blog. It’s not that I haven’t been writing! I’ve been busy working on a book. Finally we’re nearing the end of our edits after several long months of writing. 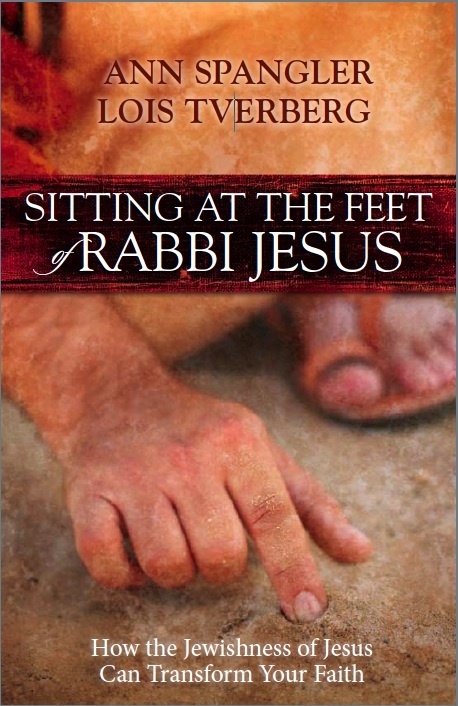 What would it feel like to sit at the feet of Rabbi Jesus, sensing his power and learning firsthand about his kingdom? By immersing yourself in the culture, customs, prayers, and feasts of first-century Jews, you can enrich your own understanding of the Bible and of Jesus—drawing near to the greatest of all rabbis. Delve into the culture that surrounded him and gain a richer understanding of Scripture and of the deep roots of your own Christian faith. Watch Jesus teach, understand what he is saying, explore his faith, and experience a more intimate relationship with him, coming to know Jesus not only as your Savior, but as your Rabbi, the one who teaches you how to live. 2. Why a Jewish Rabbi? 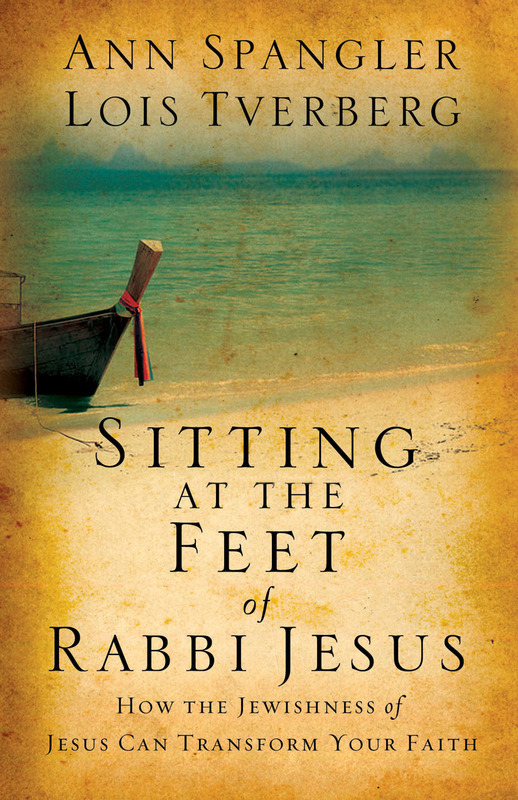 If you want to read more about the book on Zondervan’s website, visit this link. While you’re there, you can watch a video of Ann and myself. We were asked to give a 45 minute devotional presentation at Zondervan’s summer sales meeting. Ann speaks first about the background of the book, and then I spoke about Jewish prayer. Right now, of course, the hot topic in the news is the effort of many to be “green.” Because of the rising price of oil and the discussion about global warming, many people are trying to “reduce their carbon footprint.” Others may just be rolling their eyes at another over-hyped trend, and skeptical about the whole thing. In this verse, God forbade the destruction of the fruit trees outside of cities that were under siege by the Israelites during war. It was common practice during wartime to destroy the land – to chop down the trees and poison the fields by sowing them with salt. God expressly forbade this kind of wanton destruction and declared that the trees were “innocent bystanders” who should not be victims of the war. The rabbis concluded that if God forbade the destruction of the environment in the dire situation of war, he must certainly must oppose it during peacetime. They then reasoned that modifying the environment to build useful things to serve human needs is fine, but needless destruction is wrong. Wow. To him, wastefulness is a kind of idolatry that views the self as the ultimate god. What an excellent point. I think the reason why Christians miss this is because in our Western mindset, we see God as completely uninvolved with his creation, and believe that the world as entirely ours for disposal as we see fit. This attitude actually comes from our Greek cultural ancestors who considered the material world to be worthless and evil, and God as utterly unconcerned with it. The Scriptures, in contrast, say repeatedly that God created the world very good, and that creation itself groans for its redemption which will come in the end (Rom. 8:21). Part of the reason that some conservative Christians (including friends of mine who I respect a lot) are resisting the environmental trend is because it comes from folks who seem to be worshipping the creation rather than the creator, who are hostile to the God who made all things. But for centuries, the rabbis have been saying that we should be careful with the natural world not to worship it, but the God who created it. To show our love for the one who provided such abundant world for us to live in. What would Jesus say about the whole issue? The way he summarized all of Torah was in two commands – (1) Love God and (2) Love Your Neighbor. Every other command must fit into one of these categories. But remarkably, the idea of conserving the environment fits into both, because it shows your appreciation for God’s handiwork, and consideration for the needs of others to live in God’s world. It is a spiritual discipline of thinking about others before one’s self. Consider the rabbinic discussion on the command in Exodus 23:5: “When you see the donkey of your enemy lying under its burden and would refrain from raising it, you must nevertheless raise it with him.” The rabbis asked the question, “If at the exact same time as you saw your enemy’s donkey needing help, and also your friend’s donkey needing help, which should you help first?” Their answer was, you should help the donkey of your enemy first, to teach yourself to be kind to your enemies. They realized that the point of the command was not for the donkey’s sake, but to fix your inner attitude. The reason why this odd story comes to mind is because it is one of the places in the Torah where an early hint of Jesus’ command to “love your enemy” is found. This was his single most radical teaching, which was unparalleled among rabbis after him. But yet the rabbis saw that God told us not to act out of dislike for each other even in little ways. And they said that if you have an opportunity to teach yourself kindness to your enemies, do it, in order to get a little closer to that ideal. My friends who question the global warming data may feel they have strong arguments supporting their cause. They may not feel like we are using up our world’s oil supplies at an alarming rate. But even if it isn’t happening, wouldn’t the thing to do be to conserve now, rather than wait until it does? And, if you admit that just a little bit of your resistance is coming from your dislike for the “liberals” who advocate it, isn’t that all the more reason to do it? Then you’d be able to fulfill all three of Jesus’ greatest commands at once — to love God, your neighbor and your enemy, every time you did something green.